The Shy Zip tracking system is a proven method of locking fabrics into the side track. Even when excessive pressure is applied to the fabric, the Shy Zip remains tightly locked into the track for superior stability. 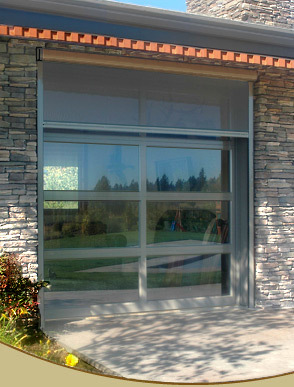 This is a great system for windows, screen room enclosures, garage doors, patio covers and skylights. The Shy Zip shown was featured at the 2005 Oregon Street Of Dreams. See additional Shy Zip images below.